Violinist Brittany Boulding Breeden, a member of the Seattle Symphony and Seattle Opera Orchestra, has appeared most recently as a soloist with the Olympia Symphony, Northwest Sinfonietta, Auburn Symphony Orchestra, Pacific Northwest Ballet Orchestra, Bainbridge Symphony Orchestra, Seattle Festival Orchestra, Thalia Symphony Orchestra, Cascade Symphony Orchestra, New Haven Symphony Orchestras, Spoleto USA, and the Orquesta de Camara Concerto Sur (Cuba). Her major music festival appearances include Tanglewood, Spoleto, Aspen, Vail, Banff and Bellingham. 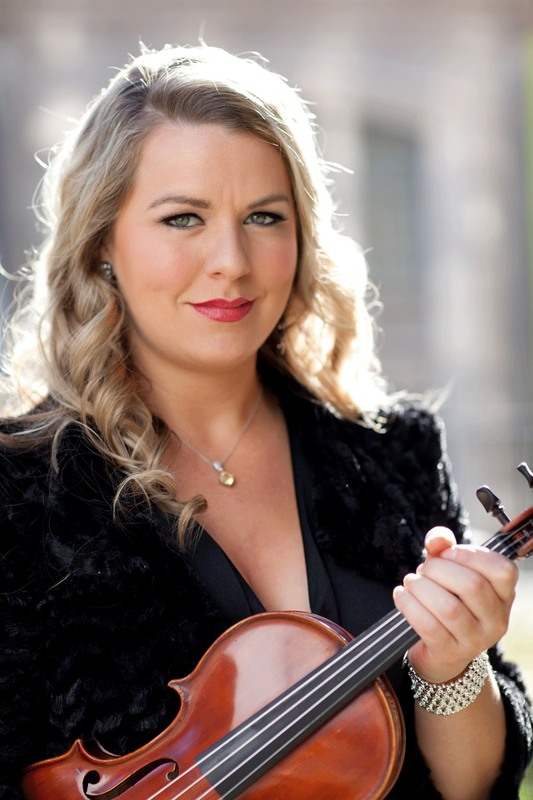 Ms. Boulding has performed as Concertmaster throughout the United States and internationally. Currently she is Concertmaster of the Northwest Sinfonietta and the Auburn Symphony. A passionate chamber musician, she is a member of the Finisterra Trio and can be seen performing at chamber festivals such as the Methow Valley, Simple Measures, Second City, Seasons, Russian Chamber Music Foundation, Guemes Island, Vashon, Bainbridge, Auburn, Cornish, Jacobsen and New Lens Series. Ms. Boulding earned her Bachelor of Music from Rice University with Kenneth Goldsmith and her Professional Studies Certificate from the Colburn Conservatory under the tutelage of Robert Lipsett. A Pacific Northwest native, Ms. Boulding grew up performing and recording with her family, the internationally acclaimed Magical Strings.